Waggoner Campus students and families have 24/7 access to classes through Canvas. Complete the steps included here to create an observer account. 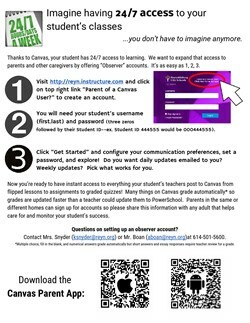 You can also download the Canvas Parent App for access on the go!